So if NRA was so against the Coburn language that they tried to apparently sabotage it, who managed to convince Harry Reid to allow the vote on the Floor Amendment? I mean, if he did it out of the kindness of his heart, do you expect me to believe he’s anti gun as Red State suggests? Does GOA, who unfairly maligns Reid on guns because they are partisan, have sway in Reid’s office? Do the Democrats fear the withdrawal of the couple hundred bucks GOA donated to Dem candidates in 2008? GOA’s lobbying might? How’d the floor amendment happen? If Reid would have killed the DC Voting Rights Amendment, why did he allow the floor vote later? If he was against it, who was it who twisted his arm? If Reid was against it, why did he vote for the amendment? What I’m saying is, what Red State is implying doesn’t make any sense. It doesn’t make any sense because I don’t think Red State knows much at all about this issue. I once again am confirmed in my belief that Red State has no credibility on Second Amendment issues, and is pissed off at NRA because they are supporting pro-gun Democrats. This pisses me off, because if you weaken NRA, you weaken the Right to Bear Arms. There is no group that’s going to step up, or is capable of stepping up, and taking their place. That’s why I decided I had had enough of being nice, getting along, because we’re all on the same side after all, you know. GOA may give a good appearance of being with us, but they not on our side, and so I have set out to expose them for what they are; hacks who can only boost themselves at the expense of others, because they have no real accomplishments to speak of. That’s who Red State is aligning themselves with. Are you exhibiting a bit of a double standard here? You say if you weaken the NRA, you weaken the Right to Keep and Bear Arms because no group will step up but you are deliberately trying to weaken an organization that could/would/should step up? No group has to replace the NRA if it is weakened sorry but that is the truth. We can have many groups — in fact I’ll argue that in some cases that would be better – then having a single organization that has been as widely reviled as the NRA. Which is easier to neutralize – one large target or hundreds of smaller target? Smaller groups may not be as effective as the NRA at getting a single piece of legislation through, but the smaller groups can put pressure on many different priorities — truly showing we have grass root support. I appreciate your support of the NRA but does it have to come at the price of tearing down other organizations? GOA has not displayed the kind of temperament, strategic thinking or ability to make allies that are necessary for taking NRA’s place. SAF has the correct temperament in this regard, but they are a 501(c)(3) Foundation, and don’t have the proper tax status for it. I can promise you this, and my friends who are lobbyists will back me up on this one, if NRA disappeared from the Hill tomorrow and moved to Colorado and got out of politics like they wanted to back in the mid-70s, the RKBA would be over. You’d be entirely dependent on the Courts to protect the right, which at this point in time seems very risky. And I would note I am not tearing down smaller organizations. I am tearing down GOA. We wouldn’t work closely with PAFOA if Bitter and I felt that smaller groups were problem, and NRA was the only game out there. 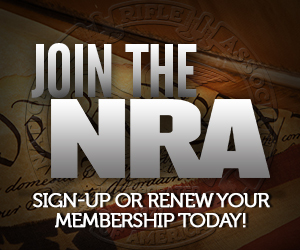 There’s a place for smaller groups, but those groups can’t be a replacement for NRA. I quit visiting RedState after the gag order canard. It is quite obvious that guy is lashing out with his mythical nonsense because the NRA backed some pro-gun dems over anti-gun Republicans as if the “R” stands for Republican or something. The whole “NRA”-“GOA”-“whatever A” debate aside, all the Republican party has to do to get the support of gun owners and conservatives is to stop running anti-gun candidates. Then they don’t have to worry. I would also make clear if I ever saw NRA attacking other gun groups I would also blast them for it. Are you sure the majority leader has the power to prevent a floor amendment? I don’t believe he has absolute power to prevent it, but as the person who controls the agenda and schedules debate voting, he has quite a lot of power to prevent things from happening that he does not want to happen. Reid didn’t seem to put up a fight over Coburn or Ensigns amendments. The Kos article is good but his third application point is pretty poor analysis. For one he says the GOP is in the NRA’s pocket. He misses out on the fact that the Democrats don’t really want a fight with the NRA either and have been avoiding 2nd Amendment issues for years because of it. At the national level, I agree with this. At the state level, there are other groups that are just as good or better than the NRA. It is sad that many people are conflating their own personal political agenda with the mission of the NRA. Given that gun rights have not suffered under the Democratically controlled Congress and that there have even been a few victories, I’m unwilling to screw with the NRA model. There are smaller gun rights groups that play in the same arena as the NRA, so the results of going with many, smaller organizations seems to be obvious: ineffective. This gives some idea about the procedural tricks available to the Majority Leader. Not necessarily applicable in every case, but there are things the leader can do to frustrate unfavorable amendments. Sebastian, you’re beating your head against the wall when it comes to RedState. It appears that the person behind RedState hates the NRA because the NRA does not stand by every conservative idea he has. No matter how well you attempt to explain it, RedState will not accept or understand that the NRA is a single-issue organization. Does the R in RS (Red State) stand for Rifles? I don’t think so. Now all those people are wondering why they are supporting Dems. I think it is just their marketing strategy coming back to bite them. To be fair to Palin, she was the Governor of Alaska. Aside from going Socialist and handing out a gun to every newborn during her tenure there wasn’t a lot more she could do. I don’t really keep up with her current efforts but I doubt she’s backing anti-gun candidates. “Politicians don’t fear the NRA because the NRA will spend money against them. They fear the NRA because the NRA will notify it’s members who will VOTE against them in a block. …”The right wing doesn’t have an organization that will come out of the weeds and kill anybody who votes for a tax increase for instance. They would love to, but Republican VOTERS care about guns a lot more than they do about taxes. Actually, if anything, Sebastian, I think you could make a better claim that the Brady Bunch are the real lobbying geniuses. This is a group whose sole purpose is to make a victimless crime out of the ownership of a device already owned by approximately 40% of the public; that is hugely outnumbered and outspent by its main opponent; that has no base outside of a handful of metropolitan areas (and probably not overwhelming support even there); that is operating in a country with a long tradition of both gun ownership and of laissez faire; and yet it still came within a hair’s breadth of outlawing guns in the late ’90’s.